Self love is the hardest love to master, and too many of us have low self esteem. Why is that? It all goes back to emotion. We were born with the need to love and be loved, and then we got hurt and scared. And so we got angry. We just have a real hard time loving ourselves with all of the anger, fear and pain inside. We never learned to accept ourselves as we are. A big reason for that is that we never learned that it's okay to feel sorrow, fear and anger. One way or the other, most of us learned that we shouldn't have those feelings, and they never went away. You were designed to be healthy and happy, and appreciating everything you feel and who you are inside is a natural part of that! Why Is Self Love So Hard? Have you noticed that it's a lot easier to love somebody else than yourself? There are very good reasons for that. You've been living in there all of your life, and you know your limitations and wrong-doings. 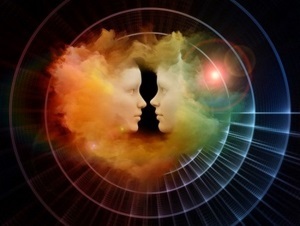 To love yourself you have to look inside and like what you see. You've never been taught to accept your emotions (pain, fear and anger), so you stuff them inside. Therefore, when you look inside, you see a bunch of stuffed pain, fear and anger--not a pretty picture, and hard to love. Also, when you were young and things went wrong, you blamed yourself--so you feel a sense of "I am bad" or "There's something wrong with me." This is called shame, which is the opposite of self love. Hard, yes...but not impossible! You're going to learn the basics of dealing with low self esteem and learning to love yourself right here on this web page! Consider, just consider, that you were born innocent and good. The bad things that happened when you were young were not your fault. Use the journaling exercises on this page to do an inventory of your painful memories. Now go to the positive journaling exercises (third journaling exercise in the above journaling link), and focus all of the writing exercises on yourself. In other words, you will be expressing your gratitude, appreciation and optimism about yourself. Finally, begin writing regularly about the kind of person you choose to be. Focus on how you want to look, feel and act and picture yourself being exactly that way. Keep doing this until it becomes the truth. Also, be sure and eat well, exercise regularly and get plenty of sleep. If you don't take care of your body, your mind and emotions just won't work right for you. This whole site is about helping you to get in touch with your own natural, internal goodness. Learn more about self-esteem and how to love yourself. 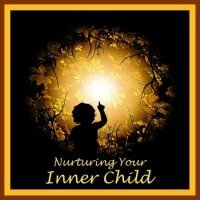 Here is the best approach I know of for developing self love--nurturing your inner child. Try the program below, with a full money-back guarantee!